Millions of families who have a loved one with a disability struggle emotionally and financially. It’s the obligation of believers to care for these hurting people. 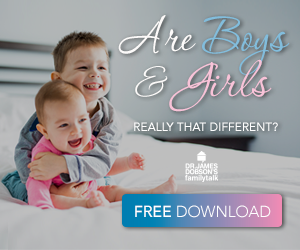 On this Family Talk broadcast, Dr. Dobson concludes his conversation with Doug Mazza, former President of Joni and Friends. Doug talks about his amazing son, Ryan, who has been severely handicapped since birth. Family Talk Weekends Episode Reminder Get a sneak-peek into each new show plus daily featured articles, delivered straight to your inbox!